Thank you for supporting the Bar Convent Centre. Your gift will make a real difference, and help us continue our work to support education, conservation and encourage spirituality. Please select whether you would like to make a regular donation by Direct Debit or a one-off donation by Debit / Credit card. Please select the amount you would like to donate. Make your gift worth more – at no extra cost to you. Yes, I would like The Bar Convent to reclaim tax on this and all past and future donations and subscriptions, and confirm that I am a UK tax payer. To qualify for Gift Aid, what you pay in Income Tax and/or Capital Gains Tax for each tax year (6 April to 5 April) must at least equal the amount of tax that all the charities or Community Amateur Sports Clubs (CASCs) that you donate to will reclaim on your gifts for that tax year. Other taxes such as VAT and Council Tax do not qualify. 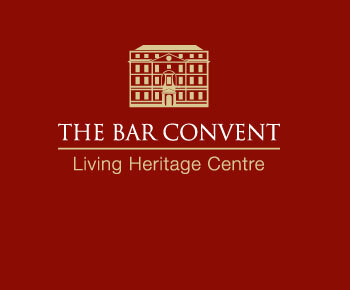 The Bar Convent will reclaim 25p of tax on every £1 that you give. Click 'Make Donation' below to be redirected to our secure payments page where you will be able to make your payment by Debit / Credit Card. Click 'Continue' below to submit these details and download your Direct Debit form. You will need to fill out the form and return it to us to complete your Direct Debit setup.